Bingo vs. Slots vs. Poker – What’s Your Game? Have you ever wondered why there are so many different types of gaming? It’s not just for entertainment’s sake. Different types of games appeal to different types of people. Some games have a lot of risk while others have very little. Some have strict forms of etiquette and others are very laid-back. Some are simple and are some are complex. What attracts you to a specific game? Do you find that you love the skill that it takes to win? Are you more interested in getting to hang out with your online friends? Let’s take a moment to talk about some characteristics of games and see what types of gamers are drawn to them. By the time you’re done with this, you’ll know what sort of games you might be attracted to, especially the games we offer here at BingoMania: Slots, Bingo, and Poker. This is the first thing to consider. Few gambling games are considered true games of skill. Most, like bingo, keno, and slots, are pure chance. Granted, there are a few things you can do to improve your odds like daubing your numbers faster, but as far as the game is constructed the emphasis is on chance. Some games are based on skill, notably poker. Some might say that video poker isn’t based in skill, but it really depends on the machine. Some people love to try their techniques they learned from table poker and try them in video poker. They really enjoy it! The other two major online games we offer, bingo and slots, are definitely chance-based. You won’t have to worry about playing the game wrong with those. You can just sit back and play until you hit the big jackpot! And if you’re worried you might get bored, you can also chat up the other players in the bingo rooms. Many people come to play just to meet the crowd! Risk is actually surprisingly tricky to calculate. There are two ways you can calculate it. The first is the Return to Player (RTP). This is how much a game will pay out for a bet over time. If a slot machine has a 95% RTP will pay out 95 cents for every dollar that is placed into the machine. Eventually. It’s an average payout over a large number of bets. Slot machines and online gaming are tested on RTP by gaming regulators to show fairness. There’s another statistic more interesting to the individual player called the Risk of Ruin. The Risk of Ruin is how many bets of each size can you expect to make before you run out of money given a certain amount of starting cash. Good games have a low Risk of Ruin, which may surprise you. Gaming in any form is meant to be a form of entertainment, first and foremost. Having a high Risk of Ruin doesn’t allow people to get their fill of that particular game because their money would run out. The best way to control risk is to limit how much you’re going to put into your bankroll and what size of bet you’re going to make in your chosen game. These depend on how much money you want to risk losing and how long you want to play. Good, responsible gamers realize that they could lose everything and play with that expectation. In other words, they play to lose. Then when they win, it’s even more exciting! Bingo and slots are low-risk games. Each playthrough costs a fixed amount of money and it’s easy to choose a room or a machine that has a bet size to your liking. There’s a reason why penny slots are so popular. Sure, you win only a little, but you can play for a long time! Video poker has a bit of a higher risk because the minimum buy-in for video poker is often higher than for slots or bingo. In-person poker can be very risky because the bets are so high, and high-roller games like baccarat are extremely risky. That’s one reason why online gaming is so attractive. You can play for a long time on a small bankroll. Some games are very complex. Certain forms of poker, craps, and roulette are examples of complex games. Games like keno, bingo, and slots are much simpler though they do have variants that can bump up the complexity. It’s really up to a player’s taste about what sort of complexity they’ll like in a game. Some people find simple games to be too boring, and some find complex games involve too much gray matter to be fun. If you like simplicity, stick with bingo or slots. If you want a little more complexity, try video poker. You could even make it more interesting by trying out different strategies and see how you do. One last thing to consider is how much interaction you want to have with other people. Most online gaming doesn’t have a high social component as part of the game. Online bingo often has chat rooms, but interaction with the players isn’t a necessary part of the game. On the other hand, some games thrive on social interaction. If you play games because you like to play with other people, rather than just play the game, you may want to stick to games that are played in-person. Chatting in a chat room may not be enough stimulation for your tastes. 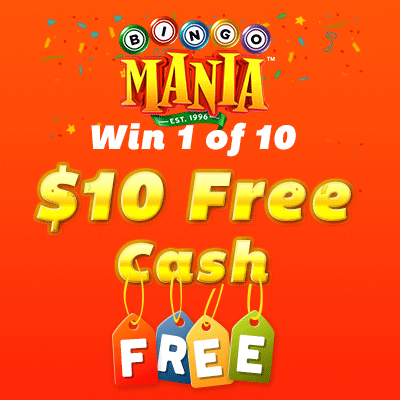 At BingoMania, our main games are bingo, slots, and poker. If you like a low-risk game that you can play for a long time with little interruption, slots is your game. If you like a low-risk game that has some social interaction but can be played with little thought, bingo is a good choice. If you want a little more risk and a little more thinking, try our video poker rooms. Whichever game you choose, have fun with your game. Remember, games are supposed to be fun! Please play responsibly. and on Thursday, May 12th at 8pm ET, we will randomly select 10 players and award you $10 free cash.Please share or like this!